In the early morning hours, the birds are lively. 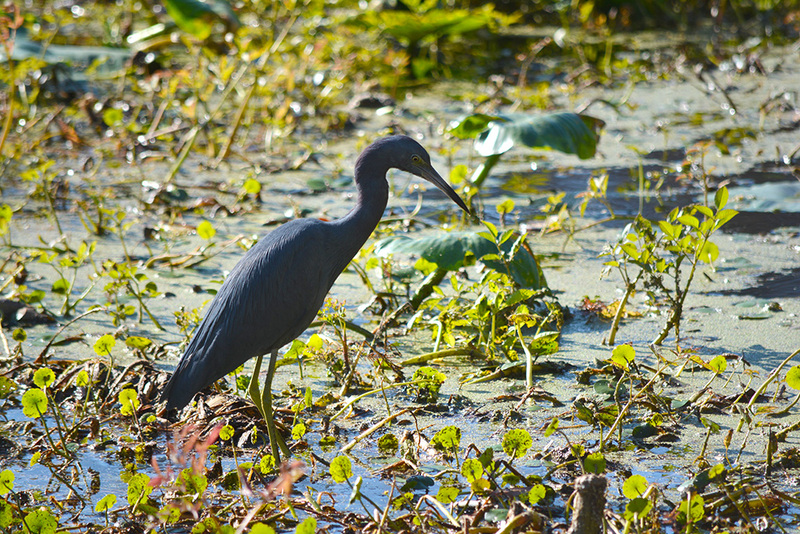 A little blue heron picks through a vast bed of Sagittaria, their pointed leaves green arrowheads against the blue water. An osprey calls out from the top of a tall bald cypress. A snowy egret lands in the shallows with an unexpected splash and flutter of wings. Moorhens cackle to each other as they drift with the sluggish flow of the river that is born here, the Wacissa. 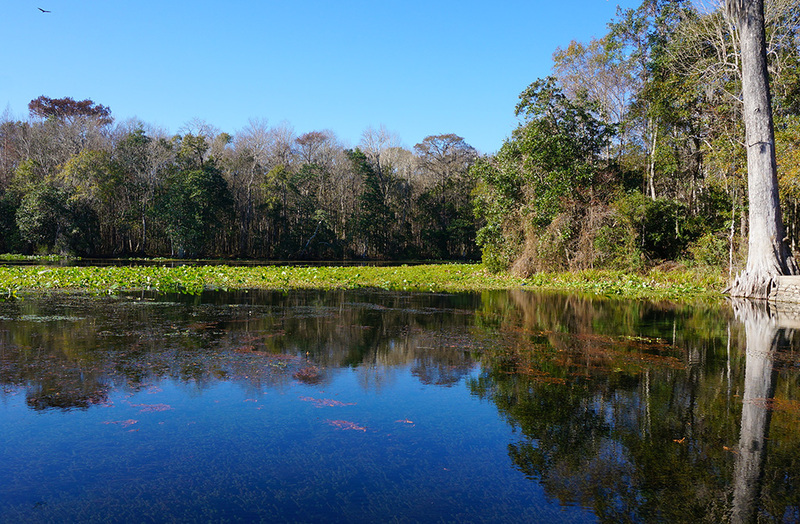 Wacissa Springs has a special magic, the rare quality of being a Florida spring just like you’d come across fifty years ago. Driving south on SR 59 into Wacissa, if you miss the sharp turn that points the highway south towards the Aucilla Wildlife Management Area and US 98, you end up at the springs. Unlike so many of Florida’s big springs, it never was developed into a fancy attraction. It has a dirt parking area, a boat ramp, and an old concrete diving platform and rope swing. Until recently, it didn’t even have a bathroom, but Jefferson County now kindly provides a “Recreational Convenience Center” tucked out of sight in the woods. It’s a place to bring your lawn chair and binoculars to watch birds in the morning, or your kids to jump into the 70-degree water. Launching a canoe here, it’s a nice 10 mile paddle down to Goose Pasture, giving you the chance to poke around at least 16 springs that give rise to the Wacissa River – you only see a couple from the shore. If you don’t have a canoe, you can rent one just up the street at the Wacissa Springs Livery. Boaters make this a very busy place on weekends. But on a quiet weekday, the water is still, and you can see the tell-tale tracks of egrets and ibis in the silt on the bottom. Schools of minnows flash through the coontail. As you enjoy nature’s panorama, be thankful that there are still places like this in Florida, unsullied by ticket booths and fancy buildings and big signs. It’s just nature, a crystalline spring surrounded by a floodplain forest. And that’s a good thing.